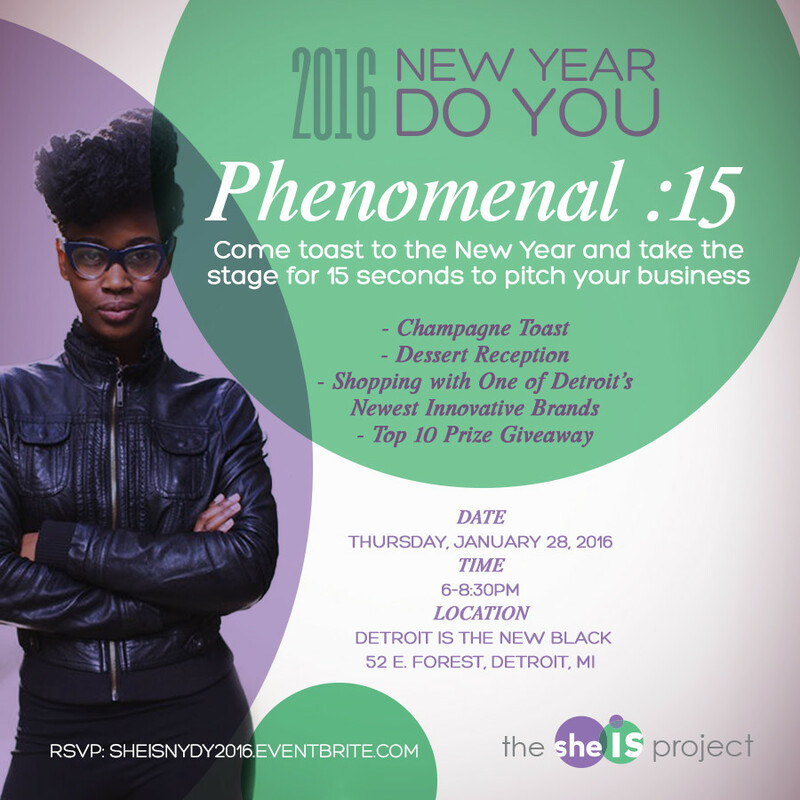 The She Is Project hosts its third annual New Year Do You business social event for Michigan area women business owners on Thursday, January 28, 2016, 6pm at the headquarters of one of Detroit’s newest innovative brands, Detroit Is The New Black in Midtown Detroit, the heart of the city’s cultural district. The She Is Project, an organization that celebrates and educates multicultural female entrepreneurs, starts each year gathering Metro Detroit’s most motivated new and existing female business owners to toast to the new year and its future successes, and to offer entrepreneurial expertise and tools and the opportunity to network to develop meaningful business relationships. This year’s event focus is the all too important elevator pitch. The business social will offer attendees tools for developing their brief pitch and also give them the opportunity to put the tools to practical use onsite by allowing them the chance to take the floor to pitch to the audience of attendees during the “Phenomenal “15” exercise. Other activities include a champagne toast to the new year, networking, special gift giveaways, shopping and dessert reception. Event attendees will also get a first glimpse of what’s in store for The She Is Project for 2016, including upcoming live and digital events like it’s LAUNCHED! series, which consists of its annual Women’s Entrepreneur and Branding Summit, and new initiatives like digital training sessions, pitch competition, youth summit offerings and STEM programming and collaborations. This is an annual must-attend event for the area’s female entrepreneurs to motivate and be motivated for greatness for the year. More than 100 women are expected to attend the event. Registration for the event is free at www.SheIsNYDY2016.eventbrite.com.